San Francisco troubadour Jack Mosbacher is excited to announce the release of “Your Heartaches I Can Surely Heal,” a song originally recorded by soul icon David Ruffin. The single is part of a very special tribute EP to Ruffin called Whynot (after Ruffin’s hometown of Whynot, Mississippi) that features four of his relatively unknown solo recordings. It has always been a dream of Mosbacher’s to honor Ruffin’s forgotten work, so he teamed up with Michael Eisenstein (Letters to Cleo, Tracy Bonham, The Posies etc.) and an eclectic array of musicians to record four of Ruffin’s songs in a classic Motown session style: all of the instruments in one room, making music until they got it right. The full EP will be released June 22nd. Mosbacher’s unique retro pop sound stems from the music of his childhood. Groups like The Temptations influenced him deeply and to this day, he taps into the spirit of this music to create something new and unique but equally soulful and radiant. His songwriting has become known for its spirited style of retro soul. His carefully crafted hooks and modern charisma have drawn comparisons to masters of a bygone era: Hall and Oates, Otis Redding and Smokey Robinson. Mosbacher’s voice revives the best of the past with timeless warmth, contemporary sensibility and authentic joy. "So much of American music and popular culture…was driven by heroes and geniuses of color, or from some kind of background that is not like mine,” he says. “The things I’ve seen, and my faith, have taught me that you really run into trouble when you’re not acknowledging who your influences are and all the systemic injustices and hardships that inspired artists before me to write a lot of this music in the first place." For Jack, authenticity is key. Audiences are more educated, connected and responsive than ever. He trusts that they know when it’s real. He hopes to continue to spread light and bring people of all generations together. His genuine approach to music and paying respect to the incredibly inspiring artists that came before him is what matters most to him. With this single and EP, he wants to send a clear message of true respect and warmth. Mosbacher also wrapped up a winter residency to packed crowds at the Peppermint Club in Los Angeles, and wowed fans with his electrifying show and infectious energy on Train’s Sail Across the Sun Cruise this spring alongside Train, Michael Franti & Spearhead, Robert Randolph & The Family Band, Gym Class Heroes and more. He will be playing a number of select dates this summer to be announced soon. 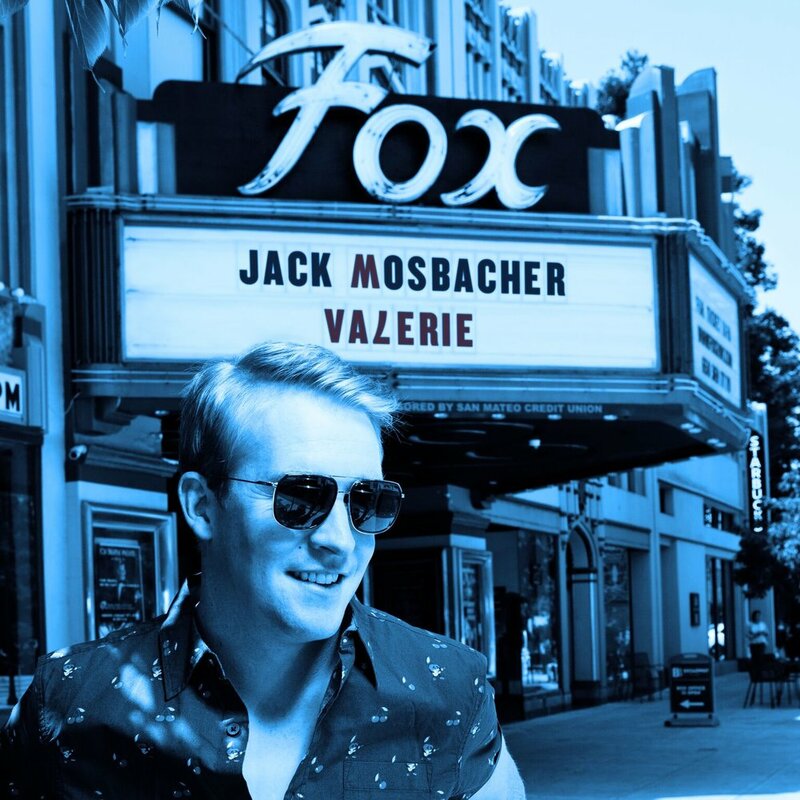 San Francisco’s Jack Mosbacher is excited to announce the release of “I’ve Got a Need for You,” a song originally written for and recorded by soul icon David Ruffin. Growing up, Mosbacher fell in love with music by hearing The Temptations, specifically their original lead singer David Ruffin. Following his time with the Temptations, Ruffin was forced to abandon a solo record that was in the works following struggles with addiction and a tussle with Motown Records. Thirty years later, and long after his death, the album was quietly released. It has always been a dream of Mosbacher’s to honor his late idol’s forgotten work, so he teamed up with Michael Eisenstein (Letters to Cleo, Tracy Bonham, The Posies etc.) and an eclectic array of musicians to record four of Ruffin’s songs in a classic Motown session style: all of the instruments in one room, making music until they got it right. The EP Whynot, named after Ruffin’s hometown of Whynot, Mississippi, comes out on June 22nd. Mosbacher’s background is as varied as his influences. Prior to pursuing music, Mosbacher was an accomplished athlete and student. International affairs and human rights were (and are) deeply important to him. At Stanford, Mosbacher played on the nationally ranked baseball team and was awarded a special grant to write a thesis on income inequality and oil politics in East Africa as part of an international development program. His work took him to thirteen African countries and led to publishing pieces in Foreign Affairs and The Washington Quarterly, setting a clear trajectory for a career in journalism and policy. But Mosbacher’s family, friends, and mentors pushed him to follow his heart, and it called him to music and entertainment. Once he listened, he never looked back. Mosbacher wrapped up a winter residency to packed crowds at the Peppermint Club in Los Angeles, and wowed fans on Train’s Sail Across the Sun Cruise this Spring alongside Train, Michael Franti & Spearhead, Robert Randolph & The Family Band, Magic! and more. He will be playing a number of select dates this summer to be announced soon.